The enhanced Kontour K1C Dynamic Height-Adjustable Column Mounts are the perfect solutions for the office, healthcare facilities or home. K1C mounts provide the maximum amount of both dynamic and manual height adjustment for the ultimate ergonomic solution. And best-in-class weight capacity range makes specification simple! Key enhancements have been made to Chief's patented Centris Extreme Tilt technology for effortless fingertip monitor positioning. 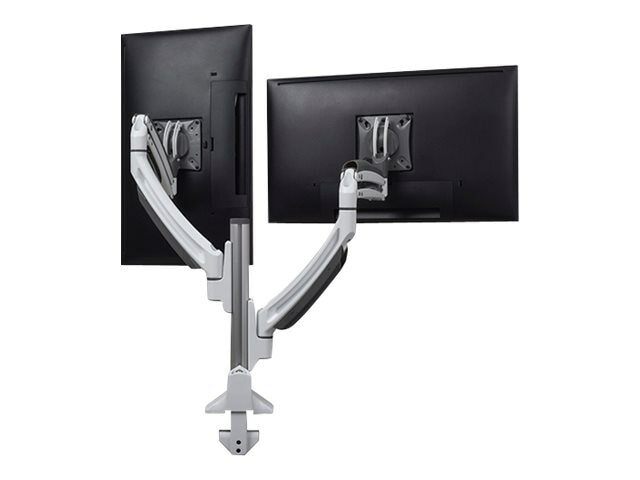 Kontour monitor mounts float your displays in the optimal ergonomic position above your work surface to create a more productive and comfortable work environment.